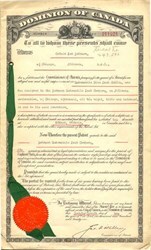 Patent of Automobile Tire Lock Cables from the Dominion of Canada issued in 1921 #249,566. This item has the signatures of Canada's Commissioner of Patents and is over 95 years old. 10 type written pages with two pages of drawings. 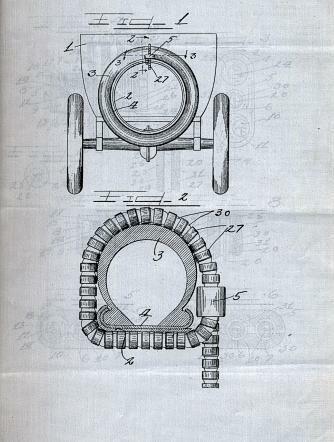 Patent was issued to the Johnson Automobile and Lock Company.